​The knees to your bees, the carrots to your peas, or the pajamas that your cat wears for some reason. 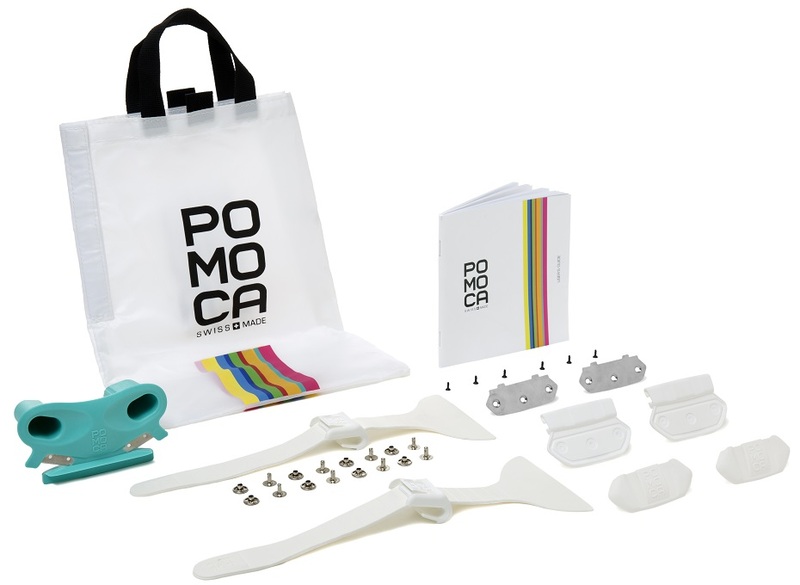 The Pomoca Back Fix Easy is the complete top-to-bottom kit designed to get your climbing skins off the roll and onto the mountain. Included is a simple tip assembly that adjusts for a personalized fit and an adjustable length tail kit that you rivet on with the hammer you already have in your garage. 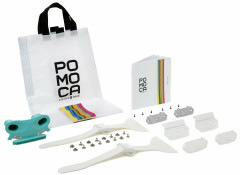 Also snuck in the kits is Pomoca’s cutter with a built-in offset that makes cutting skins as easy as cutting a pizza (maybe easier, depending on the pizza). Looking to build your own skins but don't want to deal with the hassle? Save yourself the trouble, except for the material, this has everything you need. 1 Pair of Click Lock tips. 1 Pair of Back Rivet tails.